If you have tried all kinds of diets without success, the problem likely isn't you. Diets don't work in the long-run because they teach you nothing about sustainable healthy eating. What most people do is hop from diet to diet trying to find the quick fix. They cut out food groups and suffer for a set period of time to drop weight as quickly as possible and then when they finish they boomerang right back to the unhealthy eating patterns that caused the weight problem in the first place! If you are looking for a quick fix or diet, I’m not your girl. There are plenty of other people willing to sell you quick fixes. In my 1:1 coaching we focus on creating sustainable habits. 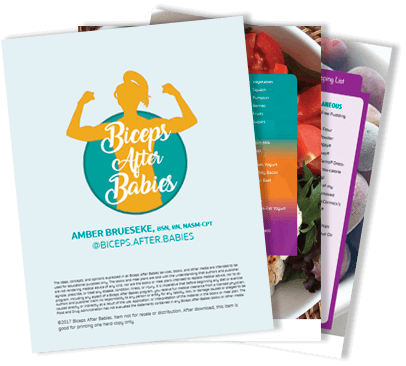 I arm you with the knowledge and tools that are going to help you learn moderation in your diet. You won't cut out food groups and I won't force you to do exercise you hate. Instead I will educate, motivate, and keep you accountable as you learn to implement the tool of macro counting to hit your goals. With me by your side, you are going to learn and develop sustainable eating habits – ones that you can keep using long after your coaching session is over. Coaching is a partnership, and I want you to be primed to get the most our of our relationship. Educate you on a variety of common topics related to fitness, macros, and general nutrition. I look pretty dang good, but I’d love to be a little leaner. I have some extra weight I’m carrying, and I need it gone now! Girl, I’d love help losing a significant amount of weight. How familiar are you with weighing and tracking what you eat? I’ve been a sporadic tracker—you know, that five-day stretch of eating healthy before the weekend? They make scales for food? Does being held accountable motivate you? I’m more of a self-starter. If I set a goal, I’ll nail it every time! I enjoy having someone else hold me responsible, but I’m also good at deciding what I want and doing everything to get it. I have to have Big Brother watching over me, or I’d never pass up a donut. Have you tried setting your macros using an online calculator? Sure have, and they all give me different numbers—I’m so confused! I’ve tried setting my own numbers and I even followed them for a while, but I’m not getting the results I want. I don’t even know where to start. Help! I’m on a set training schedule, and I never miss a gym session. I go to the gym, but I always feel kind of lost when it comes to using the equipment or setting up a training schedule. Workouts? My only workout is chasing after my kids on the playground. I hate it. I need to make choices on my own. I’m okay with it, as long as I agree! I love it—it stops me from second-guessing myself or over-thinking things. My budget is pretty tight; if I want to buy a pair of yoga pants, I have to save up for them. I’m on a budget (who isn’t?) and need to be price-conscious. I’m on a budget, but I realize my health is important and am willing to get started with something that will help me reach my goals. I have some wiggle room in my budget and price is not the deciding factor for me—I want results! The Custom Macro package is perfect for you! You are a budget-conscious self-starter, and when you set a goal you don’t have any problem holding yourself accountable. But the idea of macros is just a little bit confusing to you. Maybe you’ve tried a few free calculators, and they’ve all given you different numbers, or you just don’t know where to begin. I can put you on the right path! This option does not include check-ins or macro adjustments but will give you all the tools you need to get started toward a healthier you. BAB coaching is the best option for you. You’re probably already fit and feel comfortable working out in the gym and tracking food; you just need a little guidance understanding healthy eating habits. My team can help with that! 1:1 coaching is the best option for you. You may be somewhat familiar with tracking macros, but you just need a little help learning how to hit your numbers. Or maybe you’ve tried tracking before but just can’t keep it consistent. Working with me will help you develop the skills you’ll need to be solidly on your way to hitting your goals. You’ve got some great goals, and I can get you there! 1:1 coaching is the best option for you. You may have more weight to lose, which takes time, and we’ll also need time to familiarize you with tracking and understanding your macros. Working with me, you’ll have time to establish habits, ask the right questions, and start feeling successful.